THE Opposition Leader, on Thursday, said the Prime Minister’s words and graphs in his recent presentation to the nation “have corrected many untrue statements that he and his government have propagated since 2015.” In a statement, Kamla Persad-Bissessar encouraged people to “to mind their business and truly look at the numbers” about employment, savings, gas production, energy exports and growth rates. Persad-Bissessar said the way forward “requires us to improve our attitudes towards work ethic, acquiring knowledge and treatment of our fellow countrymen.” To get TT working again, Persad-Bissessar said the UNC had some initiatives it would implement if re-elected to office. They include lowering corporation taxes to 18 per cent over the next five years; pursue double taxation agreements with more countries in South America, West Africa and other Commonwealth countries and implementing Spanish as a compulsory second language in all schools from the preschool level. Persad-Bissessar accepted that everyone would not agree with the UNC’s initiatives but she boasted her former administration strengthened the economy. 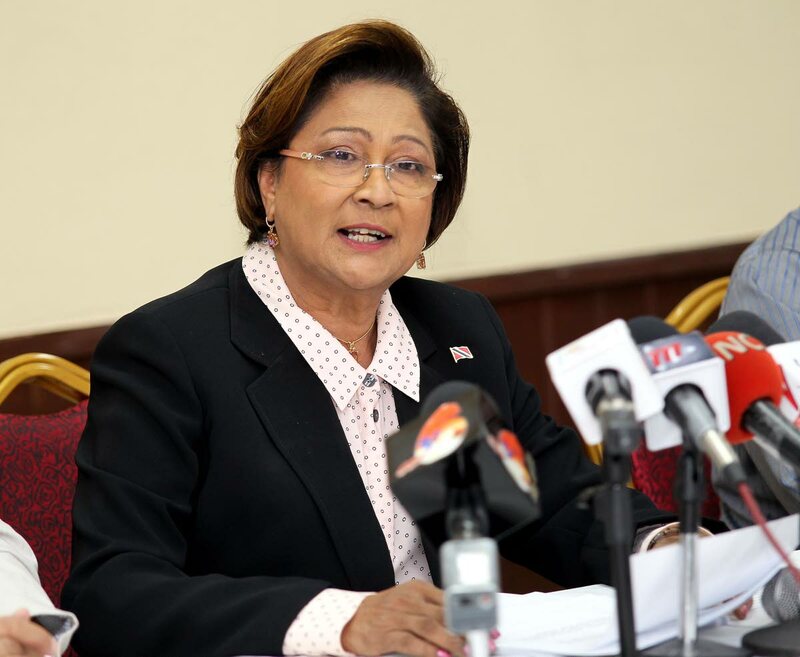 Persad-Bissessar said that was demonstrated by an unemployment rate of 3.3 per cent and offering incentives in the energy sector. Persad-Bissessar said low-quality spending did not increase growth. She disagreed with Rowley and Finance Minister Colm Imbert about a turnaround in the economy. At a news conference on Wednesday, Imbert defended the figures used by Rowley. He said the revenue figure showed that turnaround was happening in the economy. Imbert referred to a sharp drop in revenue from $58 billion in 2014 to $36 billion in 2017. “ Now, it’s on the way back up, with $42.6 billion in 2018,” he said. Reply to "Kamla: Mind your business right"